Are you shopping for a Kia dealer in Chamblee, GA? Ed Voyles Kia has an impressive selection of new and certified used cars in stock at our Kia dealership in Chamblee, GA. Kia dealer inventory of new and used cars and SUVs can be viewed online. 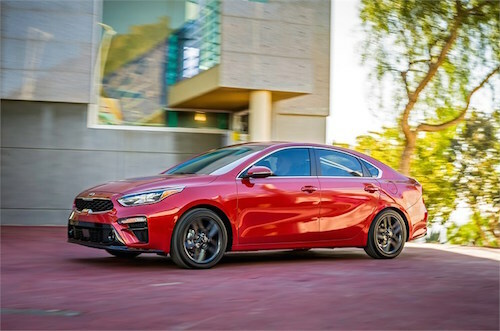 Compare vehicle MSRP, specs, options, see photos and find special deals or incentive offers on new Kia Stinger, Niro, K900, Cadenza, Forte, Optima, Rio, Sorento, Soul, Sportage, and Sedona for sale or lease. If you are ready to trade-in your old vehicle let us know, we can also buy used cars and trucks. Our Kia dealership financing and leasing plans offer a variety of options for buying or leasing a new Kia car or SUV at our Chamblee dealership. Kia dealer special incentives and seasonal offers are frequently available at Ed Voyles Kia. Financing for pre-owned Kia models, Used Cars, Used SUVs and Used Trucks is also available as is expert Kia Service and repair at our Chamblee Kia dealership. Be sure to ask us about Kia service coupons, deals and special offers desgined to save you money. Our state-of-the-art Kia service center is here to perform oil changes, brake service, wheel alignment, battery checks and more. Stop by Ed Voyles Kia of Chamblee – we’ll take good care of you and your vehicle.